As educators, we are all trying to instill in our students a life-long interest in reading. Well, author studies are a great way to spark that interest! Kids may "bond" with the author, which encourages them to read more books, especially those from the same author. And using author studies during Writer's Workshop, is a great idea because the author can become a "writing mentor" for your students, which can help them build confidence in their own writing. Thanks for hopping through our blogs! 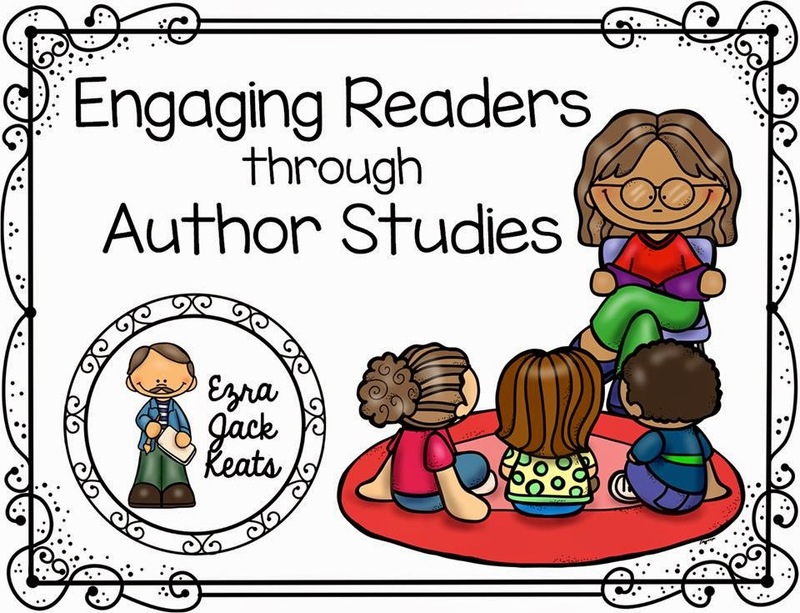 Hopefully you are learning more about Ezra Jack Keats and getting lots of ideas and freebies so you can have an Author Study in your classroom! Throughout the 1960's and 70's, Keats continued to write and illustrate his books. 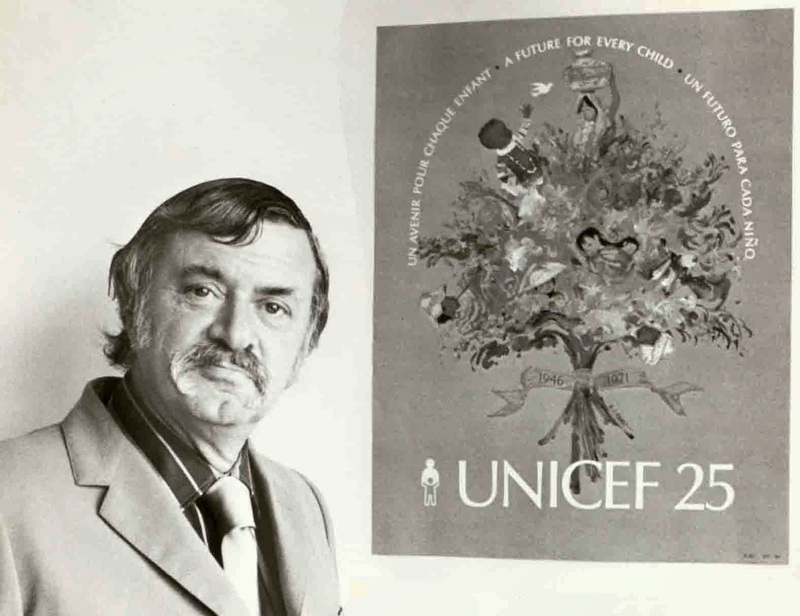 He also received many honors during this time, including being the first artist invited to design a set of greeting cards for UNICEF. He stayed connected to children by traveling around the country visiting schools as he delivered the message, "Keep on reading!" Pet Show! was published in 1972. We see many of the familiar characters from the neighborhood, including Peter, Susie, Archie, Roberto, and of course Willie, the dog. In this story, Archie has a problem. The neighborhood is having a pet show, and he can't find his cat. All of his friends are bringing their pets to the pet show. There are dogs, fish, ants, even a mouse, a parrot, a frog, and a turtle. Archie looks and looks for his cat in all of the usual places, but he can't find him. Archie doesn't want to be left out! So he comes up with a clever pet to bring to the pet show! A germ in a jar! 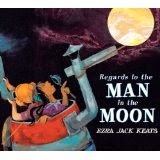 Here are a few ideas for activities that you can do in conjunction with this book. **Have students create an collage of what they see in their neighborhood using Keats' style of art. **Teach about germs (try the Glitter Germs lesson). 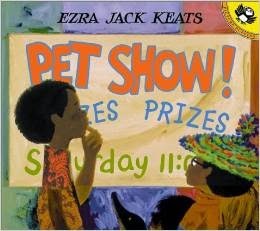 **Hold your own pet show in your classroom and have students bring in a stuffed animal for their entries. **Brainstorm and design different awards that the pets could win, such as "The Quietest Pet", or "The Longest Dog". 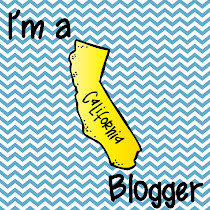 I have a special freebie for readers of my blog! It is a sample from my product "Pet Show!" I have created a fun story elements fold-in book for your students to make. Just click above on the sample cover to grab it! I have also created an entire unit to use with the book Pet Show! It is most appropriate for Kinder-1st grade. Head over to my store to check it out! Now go visit Jessica and learn about our next book! Just click on the book cover below! You're welcome! I hope you enjoyed the hop! Thanks for the great idea Kay! I can't wait to use them in my Keats author study this year!